From the literary Left Bank to the art-loving heights of Montmartre, Paris is a city of neighbourhoods, each with a distinct history of its own. Effortlessly elegant and breathtakingly beautiful, the City of Lights has crafted itself a reputation as a destination par excellence for romantic getaways. 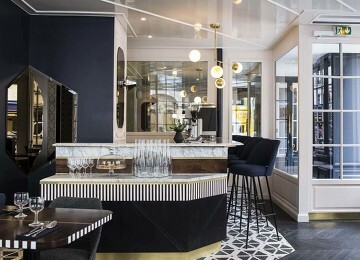 It’s not all art deco haunts, café terraces and pâtisseries, however: today’s Paris embraces its creative spirit and revolutionary soul with contemporary galleries, innovative restaurateurs and of-the-moment boutique hotels. Paris, as the song goes, is ravishing in all seasons. Many shops and restaurants close in August, when Parisians leave the city to the hordes of museum-hopping tourists. Packed with classic bistros, regional eateries and a constellation of Michelin stars, Paris is a playground for gourmets and oenophiles alike. Start your days with a warm croissant (canalside Du Pain et des Idées bakes the flakiest and most buttery), stock up on seasonal showstoppers from pastry maestro Pierre Hermé or book a table at Au Pied de Cochon for a memorable porcine feast. For a taste of real Parisian life, head east to bohemian Belleville: the sweeping city views from the top of the park are worth the detour. Seductive and atmospheric, Paris nights are the stuff of literary myth. 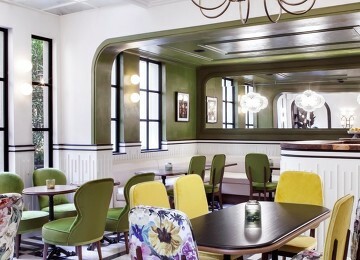 Make like Oscar Wilde and prop up the bar at L’Hotel for cocktails that still woo the creative set. Le Café Marly is a good spot for a tipple with views over the Louvre’s courtyard. You’ll find quirky hangouts and edgy clubs along the quays’ canal boats and warehouses; for something a little more glitzy, head to the champagne-fuelled nights of the Champs Elysées. Dotted with galleries and delightful cafés, the Left Bank’s Saint Germain neighbourhood is a favourite with art lovers and literature buffs. 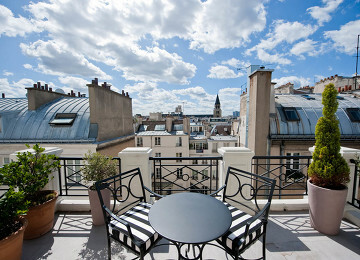 A stone’s throw from the opera, the 8th arrondissement is packed with luxury department stores and designer boutiques. Paris Charles de Gaulle airport is a major international hub; Orly airport serves domestic, European and North African destinations. Eurostar trains from London and Thalys services from Brussels and Amsterdam stop at Gare du nord. Son of Alexandre, the hotel's founder - meet owner and manager, Arnaud Bal. We sat down with him to find out the inspiration behind this beautiful boutique bolthole. We love going to Paris. There's always a different quartier to explore, new market to browse or a wonderful café to stumble upon. A city of lovers and poets, artists and writers; Paris inspires and enchants all who visit, and there’s no better way to experience the Parisian joie de vivre than at one of our beautiful boutique hotels. 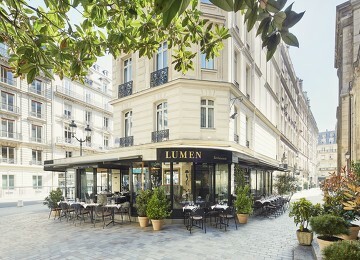 France's vibrant capital is bursting with famous monuments, elegant galleries, buzzing cafes and pretty winding streets. There's plenty to do and see in this atmospheric city, both on and off the beaten path. Keen to make the most of the glorious weather of a springtime weekend in Paris, we spent 48 hours touring a few outdoor hidden gems – walking for miles and discovering a lesser-known side to the city.